Greetings! Yeah…I know it’s been a minute since I’ve posted anything. I’ve been so crazy busy…in a good way though 😉 I’ve had so many good thoughts and epiphanies that I wanted to share these last couple weeks, but I always ended up getting distracted with my busyness and forget. However, this time…I bookmarked this thought in my head and now I’m going to share. YAY! Typically, when I’m on my way to work, I drive without music. Sometimes it’s just me and my thoughts or sometimes I leave it off in hopes of hearing God speak to me loud and clear. On this particular day as I was driving my regular route to work, He sang to me. You see I love music…all types for the most part…good music. I know songs that most people would stop and say, “You actually know this???”. Yeah…I’m that chick. Anyhooo…getting back to the route to work. I was listening to one of the pre-programmed stations on my radio dial. 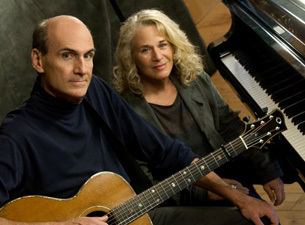 One of my favorite artists, James Taylor came on…”You’ve Got A Friend”. I’ve heard this song for yeaaarrrrrs. Music and words written by the great and talented Carole King and sung by my boy James Taylor…but this time He sang to me. I don’t know who Carole King was talking about when she wrote that song…I don’t know who James Taylor was singing about when he sung “You’ve Got A Friend”, but I can tell you this, when I heard that song THIS TIME…my friend Jesus was singing to me. Every word explained who He is to me and what He has done for me in every situation described in those lyrics. All I could do was smile really hard after the song went off. Ha! I’m smiling right now as I share this with you. For the rest of the week, I hummed and/or sang that song to myself because to me…He sung that song to me. Girlie, I hear ya! He speaks to us the way we need to hear it at that exact time. Sometimes it is through song because that’s the best way for us to receive it. Amen sista! Hey Alesia, I just posted. Check it out! Hope you’re having a great night.